We manufacture and supply Kesar Chandan Fairness Cream with natural fragrance of saffron. The unique preparation of Kesar Chandan Fairness Cream lightens the skin complexion making it fairer. Kesar Chandan Fairness Cream is an Ayurvedic formulation blended with saffron and sandal oil which helps to reduce melanin from the skin. Kesar Chandan Fairness Cream has no artificial ingredients or perfume in it. Kesar Chandan Fairness Cream gives instant fairness adding radiance to the skin. 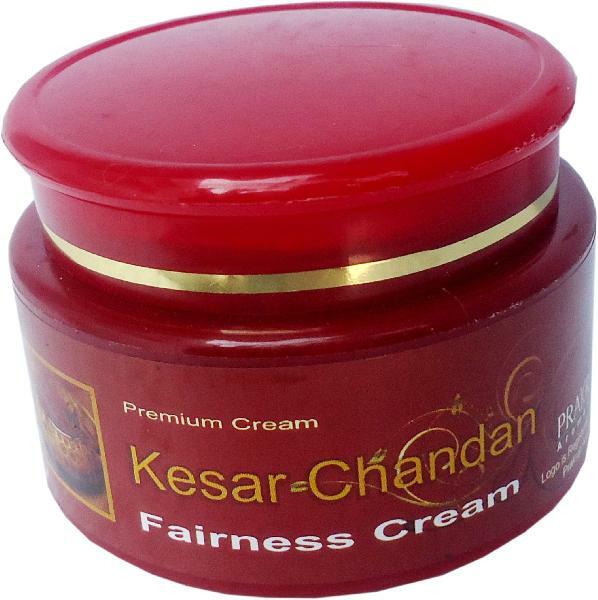 Our Kesar Chandan Fairness Cream is frequently used in FMGC Beauty Parlor and Clinic. How to Use : Apply on face and Neck twice a Day.